Monument Valley Navajo Tribal Park, on the Utah and Arizona border, is an icon of the American Southwest. Owned by the Navajo nation, this park is nothing-less than awe-inspiring. Upon arrival one can either head to the visitors center to enjoy the views, gather information, and book a jeep or hiking tour, or drive the 14-mile dirt loop through the valley. 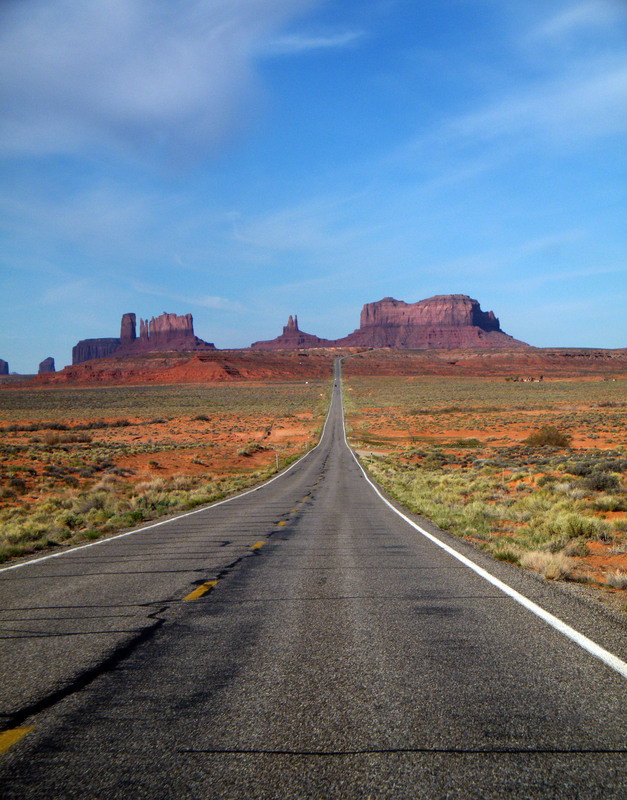 Either way you will be able to enjoy gorgeous views of Monument Valley and beyond. Please remember this is not only a park and tourist attraction, that it is home to some people. Be respectful and read and follow all rules and regulations while in the park or on the reservation. *Address is for online mapping and GPS purposes, not actual mailing address. **Additional Fees are charged for guided tours and camping. Other fees may apply.